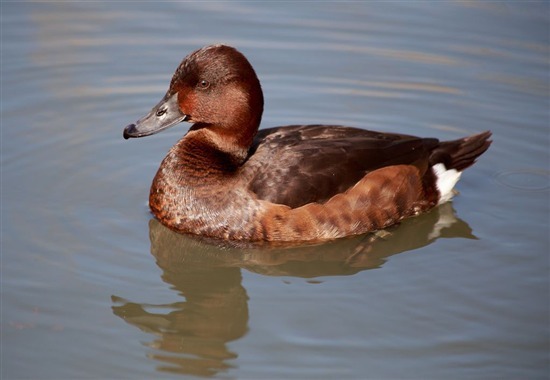 RSPB Scotland Loch Leven's Writer in Residence Anita John brings us the latest sightings from the reserve and writes: A ripple of excitement ran through RSPB Scotland Loch Leven on my last visit, caused by a very rare sighting of a ferruginous duck at the reserve. 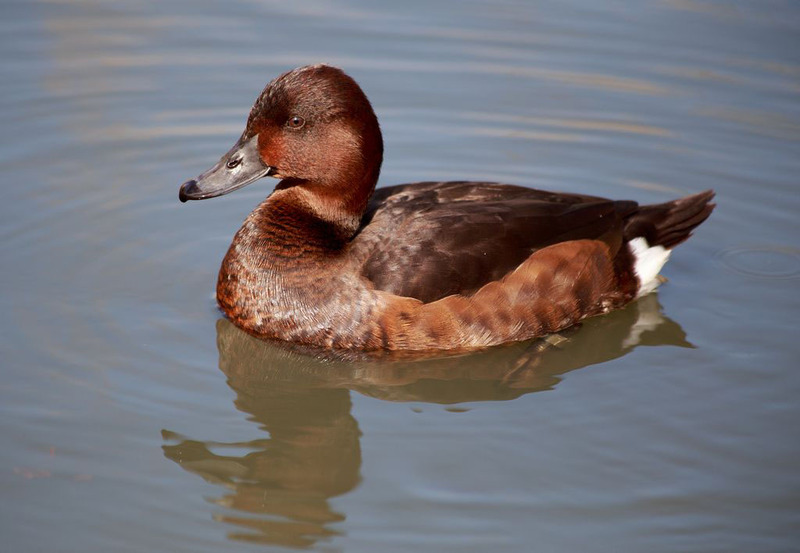 The ferruginous duck, sighted among a large flock of common pochard, was clearly distinguished by its white undertail-covert. This undertail-covert is visible from a distance and is so bright that it looks as if it has been dipped in emulsion! Further excitement at the reserve was caused by the annual arrival of the first skeins of pink-footed geese on 13 September (last year the first flocks came in on 12 September!) With the help of fellow birdwatchers I was finally able to distinguish these migratory geese from the greylag geese which are present at the reserve all year round. Pink-footed geese are more slender than greylag geese, and smaller, with darker necks and beaks. It was a joy to watch skeins of 90 or so fly in, joined later by a further flock of 60. And the first thing many of them did after landing was to tuck their heads into their feathers and sleep, presumably in need of rest after their long journey south from Iceland and Greenland. This morning over 1000 of these wonderful birds were spotted in flight over the loch, with many more still to come! as could a head of curlews which flew in to feed among the grasses, yellow daisies, buttercups and dandelions, their white underparts ruffled furiously by the strong westerly wind. Equally exciting was the sighting of four osprey over the reserve. I watched as two osprey landed on separate fence posts, each with a fish in its talons, and began to feed. Through the scope, the ospreys' bright white heads and dark egyptian eye linings were clearly visible. These are magnificent birds to watch and can probably be seen at the reserve until late September before they continue their journey south to West Africa. From the Gilman Hide mixed flocks of pochards, tufted ducks, gadwalls, wigeons and great crested grebes could be seen, all facing into the blustery westerly wind. There were juveniles among the great-crested grebes, distinguished by their white striped heads and necks. Many of them were sleeping, their heads tucked backwards onto their necks. There were also mute swans with their juvenile cygnets and shovelers. The shoveler's comical appearance, both in flight and on water, is due to its seemingly oversized beak and large feet! That spade-shaped beak, however, is great for combing the surface of shallow water for small insects and plant matter. So, much excitement and activity on the water! Off the water, our resident red squirrels have been very active recently, and three have been sighted foraging around the Leafy Loop area of the reserve. With the arrival and departure of birds and wildfowl marking the turn of the season, and the squirrels' busy preparations for winter, now is a great time to come and visit the reserve!